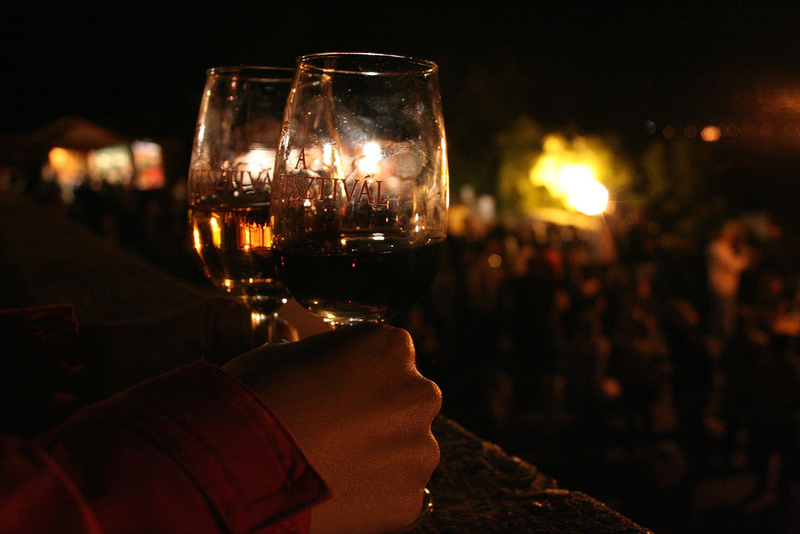 The Buda Castle Wine Festival is right around the corner, this year taking place September 12th – 16th, so it’s time to start making your plans. Pair the words “Hungary” and “wine,” and most Americans picture bottles of plonk ‘Bull’s Blood’ languishing on the bottom of their supermarket shelves. Flabby, acrid, and produced exclusively for the export market, most of these wines would be better served in the vinegar aisle. Little do they know, Hungary produces some of the finest wine in Europe, indeed the world. 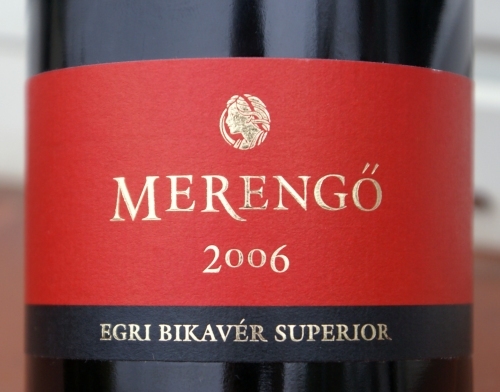 In fact, in 2004 in the prestigious VinAgora international wine competition, Hungary took the top five spots in the sweet wine category, and seven out of the top ten. But it’s not just the dessert wines of Tokaj that set Hungary apart from its neighbors; many of its powerhouse reds can hold their own against much better-known producers in France, the US, Australia, or just about anywhere else. 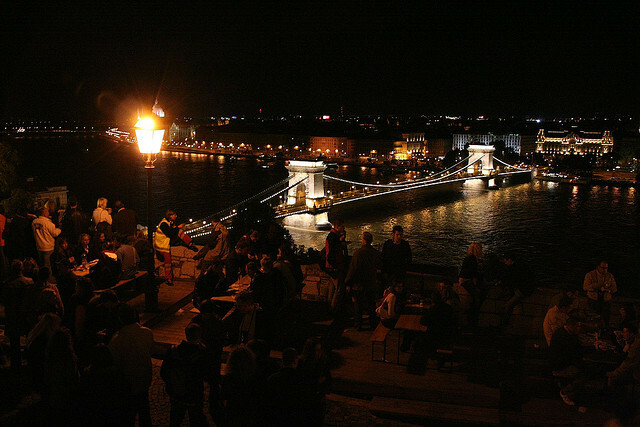 Early September, in the vast and imposing grounds of Buda Castle, is when Hungary gets to prove it. 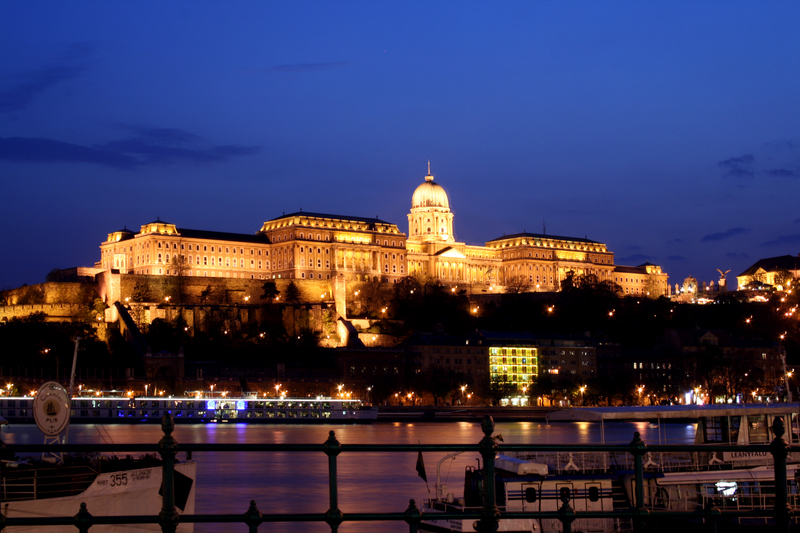 ‘Buda Castle’ is perhaps something of a misnomer, and it should more accurately be called the Royal Palace. ‘Castle’ connotes crenellations, towers, keeps, spires, moats. Narrow slitted windows for crossbowmen, a drawbridge, perhaps, or at least some place from which you could dump a handy cauldron of boiling oil. 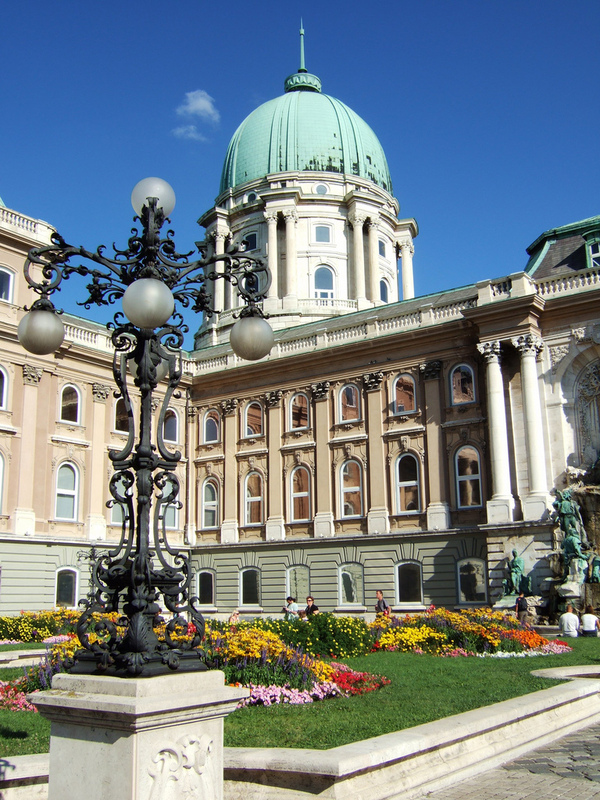 Although it lacks all of these, the Neo-Classical royal palace does loom commandingly over the city, perched on a hill overlooking the Danube flowing sleekly below. It’s an extraordinary venue for a wine festival, and for the past twenty-one years Hungary’s wine makers have ascended the heights to showcase their latest vintages. The climb to the festival may be made a number of ways – on foot, by bus – but by far the best way is to take the funicular that runs from the Chain Bridge to the cobblestone courtyard flanking the castle. Originally opened in 1870, destroyed in World War II and lovingly rebuilt in 1986, the funicular’s old-fashioned wooden three-tiered cars offer fabulous views. 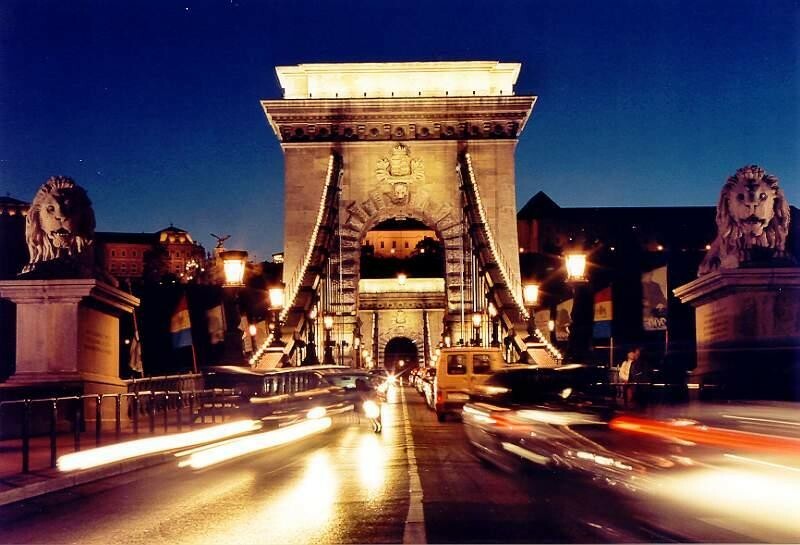 As you creak aloft, the Chain Bridge – Budapest’s first to connect the then-separate cities of Buda and Pest – leads your eye along its stone and steel to the recently – and magnificently – renovated Gresham Palace. 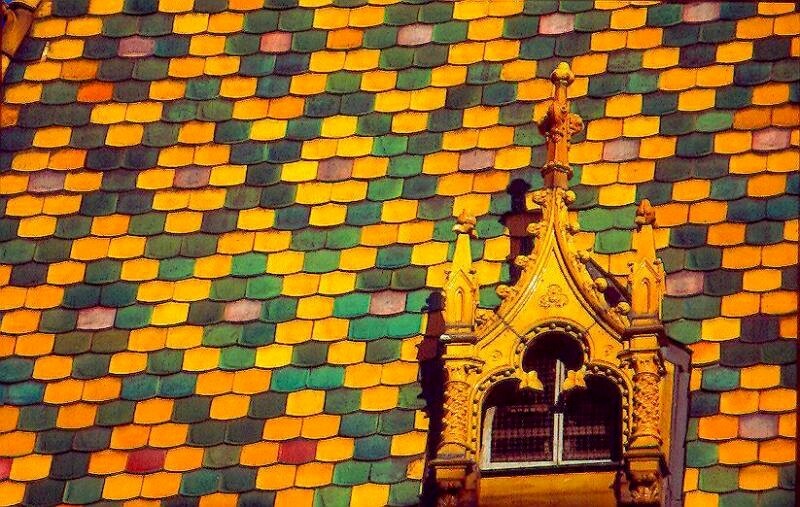 The city gradually unfolds before you, bounded by the sprawling, spired Parliament building to the north and the gleaming multi-colored Zsolnay tiles on the roof of the massive market hall to the south. At the top, pop into a white tent to get your entrance pass (2,700 Hungarian Forint, about $14 US), a wine glass, and a somewhat awkward and precarious sling meant to carry the glass around your neck. The occasional tinkle of glass shattering on stone attests to their efficacy. Cash is not accepted at the festival, so visitors need to purchase rolls of tickets to pay for each tasting, with the cheaper wines available for 2-3 tickets (about $1- $1.50), and the wines you’ll really want to taste about double that. A tip: you’ll never make it through the day drinking the the amount of wine they normally pour. Ask for a half portion and they’ll only charge you half price, but give you more than enough for a tasting. Sweep down a double staircase with tickets, glass, and sling (glass not in sling) and your enological adventure begins. Make no mistake, there are two Budapest wine festivals here. The first begins around 10 a.m., and is marked by families, wine-industry types, and sober-looking and serious-minded individuals toting tasting notebooks. These people are here to taste wine, not swill it like a high school kid sucking on a bottle of Boone’s Farm Strawberry Hill. In the morning it is a civilized affair. You’re able to amble casually amongst the wooden stalls, leisurely inspecting wine labels, chatting to the vendors. 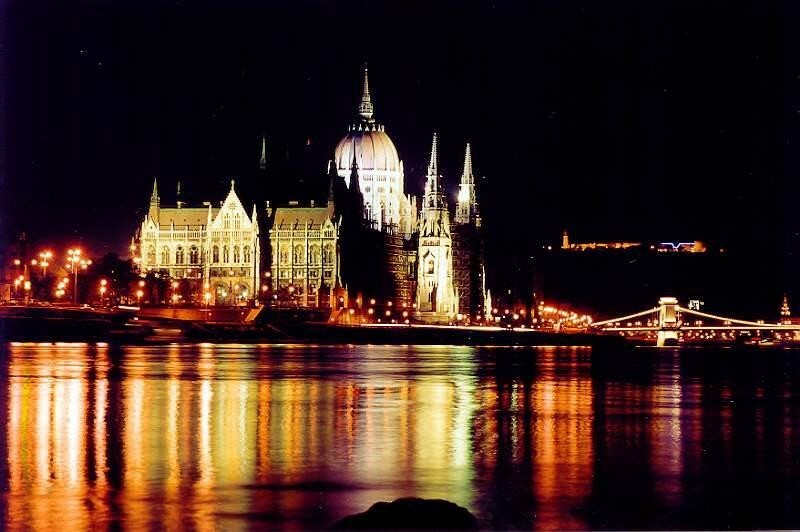 What is truly wonderful about the wine industry in Hungary is that it is relatively small. While in Napa Valley the kid behind the counter is more than likely a college student with a couple weeks of instruction under her belt, here the one filling your glass may very likely be the winemaker him or herself. Pass through the monumental Lion Gate – its arch flanked, of course, by four guardian lions – into the inner courtyard, and you’ll find the booth of Enikő Luka , who took over the business when her father passed away and whose family tradition of wine making goes back centuries. Or next door, also from the wine region of Sopron, in the west of Hungary, you may come across the dashing young Franz Weninger Jr., who has increasingly taken over the running of the vineyard from his father, and whose Spern Steiner Selection Kékfrankos will knock your socks off. Actually visit his winery in the Eger wine region, and ‘Uncle Gyuri’ will do something you would never experience at an American vineyard – he’ll dig into the back of the cellar and pull out some unlabeled bottles: his experiments, his attempts, even his failures. Though these wines never made it to store shelves, they represent the passionate tinkering of a man completely devoted to his craft, and György will lovingly take you through their creation. Back at the booth, ask for a sample of his Merengő Bikavér (bull’s blood). There are several versions of how this wine got its sanguinary name, each more apocryphal than the next. 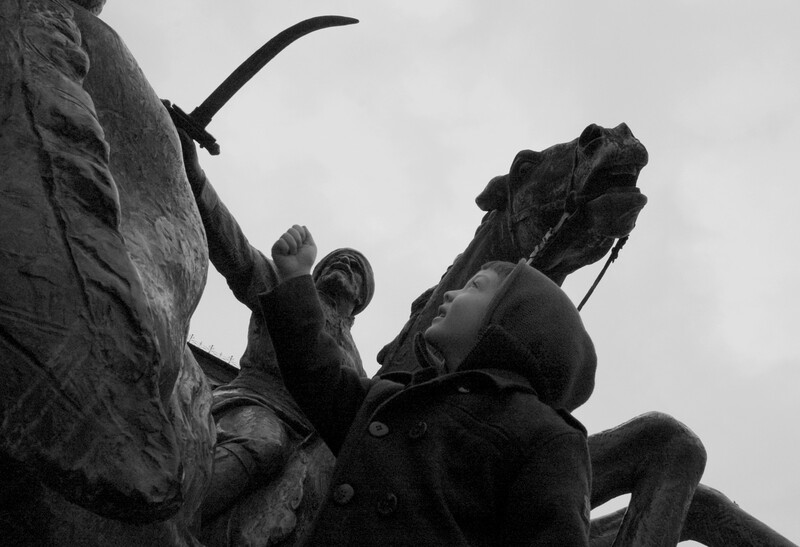 Perhaps the most common has the murderous Turks besieging the castle of Eger. Two thousand Hungarian soldiers are holed up behind the walls, surrounded by a force of 150,000 hell-bent on their destruction. After a month, the Turks are no closer to breaching the fortress, and the Hungarians have opened their wine cellars and are, rather sloppily it would seem, pouring red wine down their gullets, red wine that spills onto their beards and armor. Word spreads among the superstitious Turks that the home team is swilling the blood of bulls to endow them with strength and valor. Fearful, demoralized, and presumably more than a little disgusted, the Turks high-tail it out of there and the siege is broken. Whatever its etymology, this is bull’s blood. Forget the swine urine on your supermarket shelf. A blend of Kékfrankos, Syrah, Cabernet Franc and Merlot, this is serious stuff, a wine which brings a silly satisfied grin to your face. At this point you’ll need something more than liquid sustenance. Along the outer fringe of the rear terrace you’ll find stalls piled high with local cheeses, pastries, fruit, and two foods no Hungarian celebration would be without. For the first, keep an open mind. Zsíros kényér, or lard bread, consists of crusty white bread slathered with a thick layer of pork lard, then covered with red onion and paprika. It may be an acquired taste, but once acquired, it’s something you’ll unexpectedly crave. 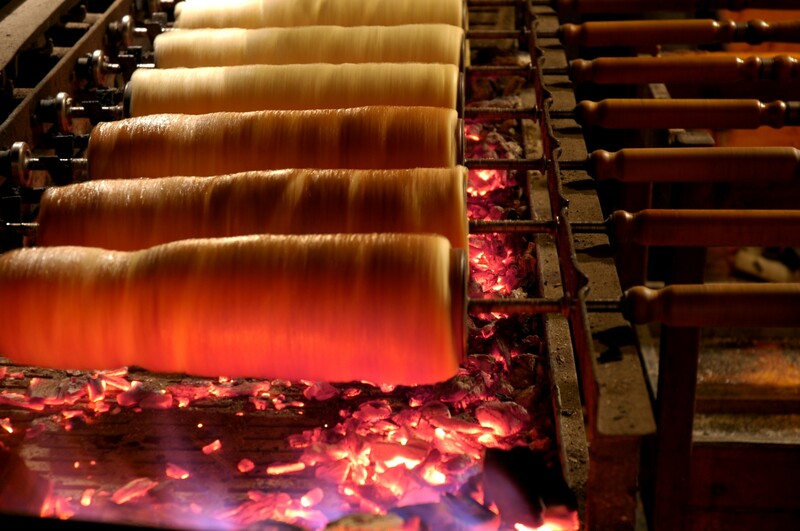 Sweet pastry (kürtös kalács) roasting over the open coals. The second you will smell long before you see it. It’s a scent that, commingled with mulled wine, roasted chestnuts and pine, evokes snowy Christmas markets, or mixed with the sweet rotting scent of fall foliage, autumn in New England. It is, in short, the fragrance of a wood fire. Real glowing coals are essential for proper kürtös kalács. Strips of pastry dough are wrapped around a large wooden dowel, then coated in a mixture of cinnamon, almonds, walnuts and sugar. It is then placed over the coals, and the pastry cooks while the sugar coating caramelizes to a crisp auburn brown. Take your food and pass through again to the front of the castle, where you can sit on a parapet and munch while gazing at the city stretched out at your feet. There are concerts, performances and arts and crafts on offer at the festival as well, so the kids won’t lack for entertainment. The organizers have also arranged for babysitting during the day, so you can dump your kids with a bunch of strangers who don’t speak their language while you go out and get absolutely sloshed. Actually, there are probably English-speaking caregivers and the programs sound quite good, so it’s not beyond the realm of possibility. Round about this time you’ll hear a slight swelling in the festival noise, a rising wave washing indistinctly off the walls of the castle, so that at first it is difficult to determine its source. It’s the harvest parade, led by a phalanx of older women bearing banners and grapes piled high on shouldered stretchers. 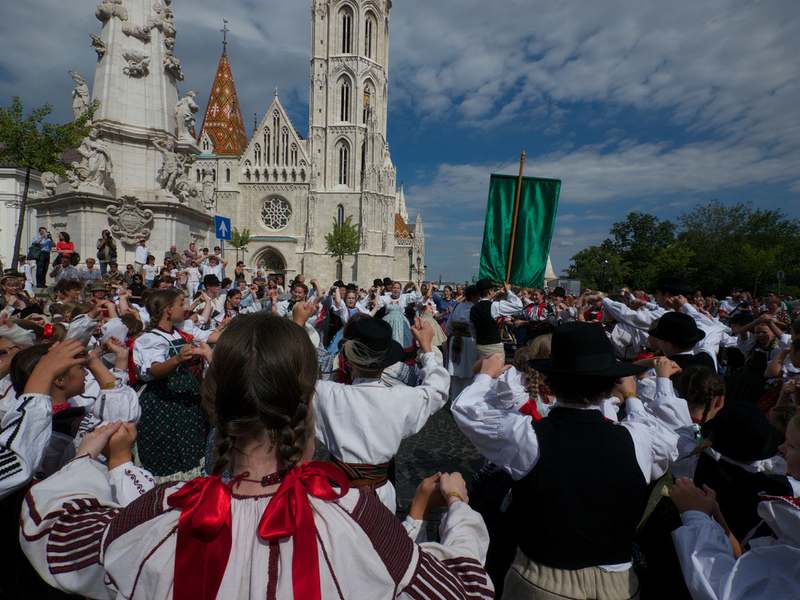 Dressed in traditional Hungarian peasant’s garb – richly embroidered vests, puffed-sleeved white blouses cinched above the elbow, loads of sashes, lace, and ribbons – the women are followed by men huffing along in heavy red and black cloaks, the leaders proudly holding aloft the flag of their respective wine region. After the cavalcade has passed and the music has faded, you look around and begin to notice the gradual change the festival is undergoing. Lines have lengthened. Pathways have become crowded. And the more genteel of the festival’s patrons are headed for the exits while a younger, greener, and somewhat more boisterous clientele jostle through the towering gates. That’s right, the taste-and-spitters have gone, and the drinkers are arriving in droves. It’s easy to dismiss the tourists, neophytes, and, since no one is checking ID, young teens as wine boors who wouldn’t know a Kadarka from an Irsai Olivér – the former is red and the latter white, for starters – but this is simply another face of the festival. Yes, it’s louder. Yes, you hear more English and German than Hungarian spoken. Yes, you inevitably hear someone shout out “Juhfark?” – a white wine varietal pronounced you-fark – “Well FARK YOU!” Yes, by the end of the evening there are probably British stag party guys in matching hats and t-shirts puking in the shrubbery. That’s all true. But what you are also seeing is the democratization of wine. A taking of it down from the empyrean – and often snobbish – heights of the elite and sharing it with the masses who, after all, have palates too. The folks here now might not have tasting notebooks, and yes, they are all going to swallow their wine, but they may be discovering the pleasure of wine for the first time, or finding delight in new flavors, sensations, sights.